Bile bears, sometimes called battery bears, are bears kept in captivity to harvest their bile, a digestive fluid produced by the liver and stored in the gall bladder. The bear species most commonly farmed for bile is the Asiatic black bear (Ursus thibetanus), although the sun bear (Helarctos malayanus) and the brown bear (Ursus arctos) are also used to collect bile. 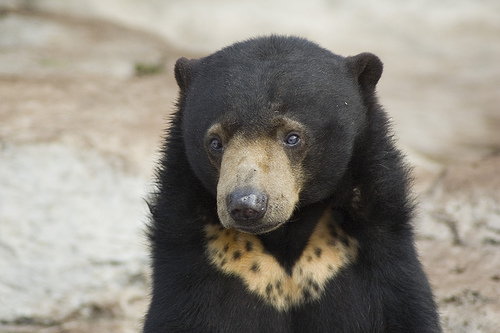 Both the Asiatic black bear and the sun bear are listed as vulnerable on the Red List of Threatened Animals published by the International Union for Conservation of Nature. 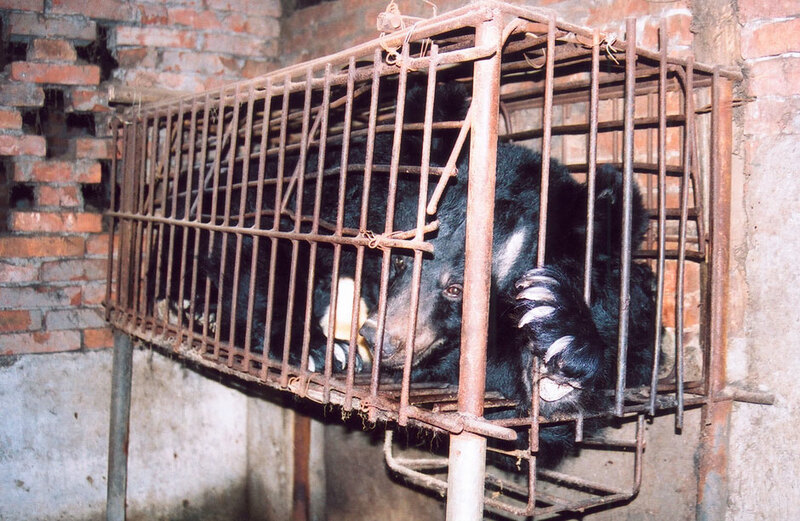 Bears are farmed for bile in China, North Korea, South Korea, Laos, Vietnam and Myanmar. China was the first country to use bile and its storage organ, the gall bladder, as ingredients in Traditional Chinese Medicine (TCM). Bear bile was first recorded in "Tang Ban Cao" (Newly Revised Materia Medica, Tang Dynasty, 659 A.D.). For thousands of years, the traditional way to acquire bear bile was to kill a wild bear and remove its gall bladder. 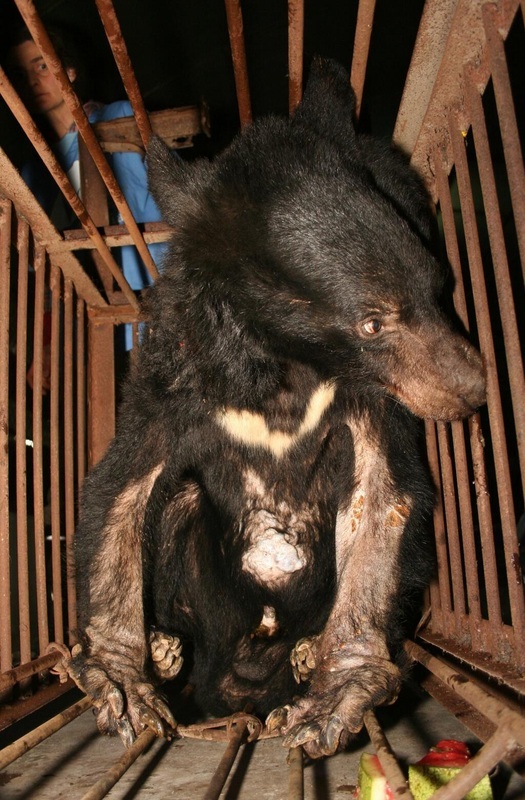 The use of bear bile in medicines was adopted by Korea and Japan centuries ago as a part of TCM. In the 21st century, the use of TCM is widespread, not only in Asia but also throughout Asian communities in other areas of the world. In the early 1980s, bile bear farms began appearing in North Korea, and then spread to other regions. Bear Farms started in China as late as the 1980s to save the wild bears in China, not to become extinct - before the farms started, became wild bears in China hunted and killed, only to remove the gall bladder. 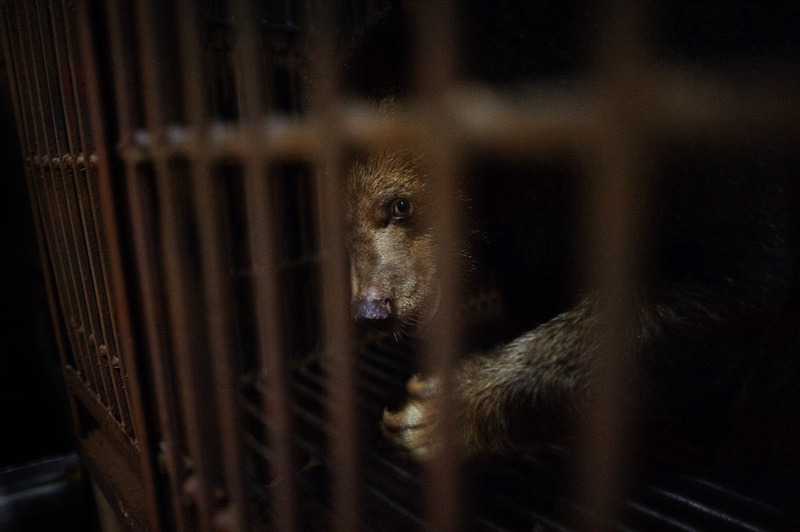 Now there are thousands of bears imprisoned in small cages around China to satisfy Chinese thirst for superstitious treatments and to provide jobs and keep running a lucrative market. Repeated injection, in which an ultrasound imager is used to locate the gall bladder which is then punctured and the bile extracted. Permanent implantation, in which a tube is entered into the gall bladder through the abdomen. According to The Humane Society of the United States (HSUS), the bile is usually extracted twice a day through such implanted tubes, producing 10–20 ml of bile during each extraction. Catheterization involves pushing a steel or perspex catheter through the bear's abdomen. The use of metal catheters has been banned, although the HSUS writes that bile bears are still seen with catheters in them. The "full-jacket" method uses a permanent catheter tube to extract the bile which is then collected in a plastic bag set in a metal box worn by the bear. The "free drip" method involves making a permanent hole, or fistula, in the bear's abdomen and gall bladder, from which bile freely drips out. The wound is vulnerable to infection and bile can leak back into the abdomen, causing high mortality rates. Sometimes the hole is kept open with a perspex catheter, which HSUS writes causes severe pain. An AAF Vet Report states that surgeries to create free-dripping fistules caused bears great suffering as they were performed without appropriate antibiotics or pain management and the bears were repeatedly exposed to this process as the fistulae often healed over. Removal of the whole gall bladder is sometimes used. When the bears outlive their productive bile-producing years (at approximately 10 years old), they are slaughtered and harvested for their other parts. 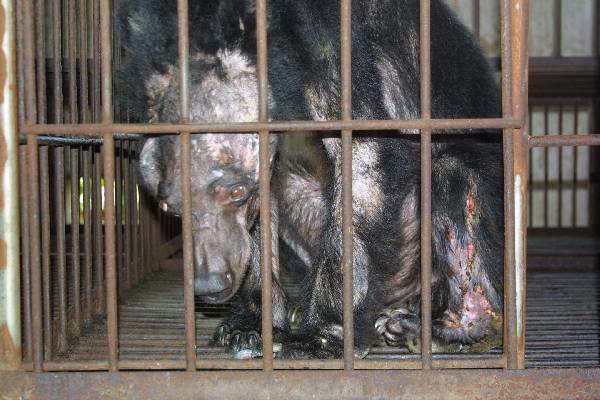 To facilitate the bile extraction process, the bears are commonly kept in cages known as extraction or crush cages. These measure approximately 79 cm x 130 cm x 200 cm (2.6 feet x 4.4 feet x 6.5 feet). Because the bears weigh between 50 to 120 kilograms (110 to 260 lb), these cages prevent the bears from being able to stand upright, or in some cases, restrict the bear's movements even more. In two model Chinese bile farms, the HSUS reports that the bears are moved to the crush cages for milking, but the rest of the time live in a cage large enough to stand and turn around. Farmed bile bears are often malnourished and in poor health, living to an average age of five years; healthy captive bears can live until age 35 and wild bears live to 25-30 years. If the bears live past age five, they are most often killed around age 10, since by then their productivity usually drops off. They are then sold for their meat, fur, paws, and gall bladders. Bear paws are considered a delicacy, and have been seen priced at $250. 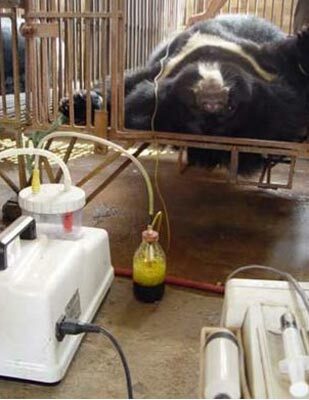 Farmed bile bears can suffer from a variety of physical ailments which include loss of hair, malnutrition, stunted growth, muscle mass loss, and often have their teeth and claws extracted. Living for 10–12 years under such circumstances results in severe mental stress and muscle atrophy. The Chinese media reported an incident in which a mother bear, having escaped her cage, strangled her own cub and then killed herself by intentionally running into a wall. World Animal Protection sent researchers to 11 bile farms. They reported seeing bears moaning, banging their heads against their cages, and chewing their own paws. 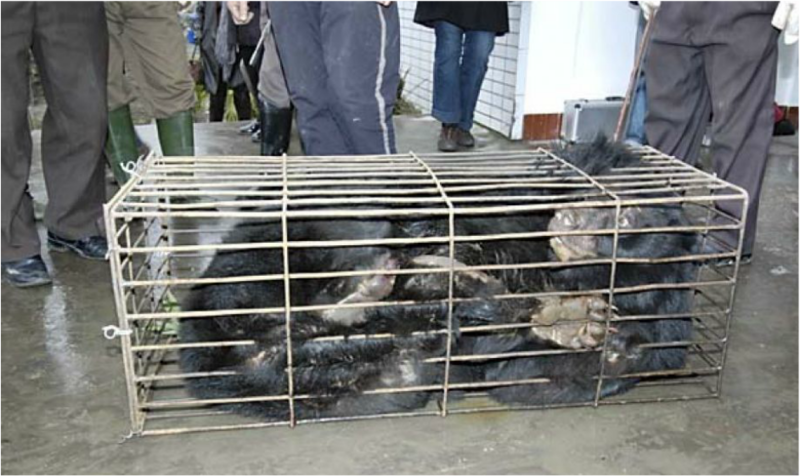 In January 2006, the Chinese State Council Information Office held a press conference in Beijing, during which the government said that it was enforcing a "Technical Code of Practice for Raising Black Bears," which "requires hygienic, painless practice for gall extraction and make strict regulations on the techniques and conditions for nursing, exercise and propagation." 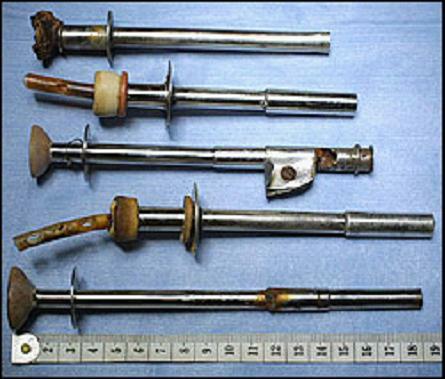 Technical Code was unsanitary as the fistula created to access the gall bladder allowed for an open portal through which bacteria could infiltrate the abdomen. 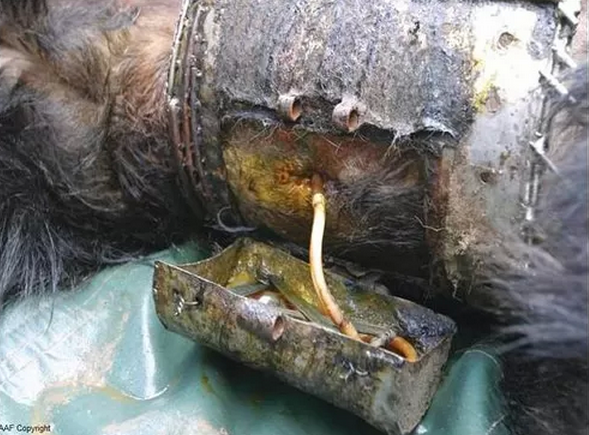 The AAF report also stated that surgeries to create free-dripping fistulae caused bears great suffering as they were performed without appropriate antibiotics or pain management and the bears were repeatedly exposed to this process as the fistulae often healed over. The free-dripping method still requires the bears to be prodded with a metal rod when the wound heals over and under veterinary examination, some bears with free-dripping fistulae were actually found to have clear perspex catheters permanently implanted into their gall bladders. In addition to the suffering caused by infection and pain at the incision site, 28% of fistulated bears also experience abdominal hernias and more than a third eventually succumb to liver cancer, believed to be associated with the bile-extraction process. In China, there are two moon bear rescue centers, one in the Sichuan province and one in the Yunnan province. The rescue centers have already rescued approximately 300 moon bears. 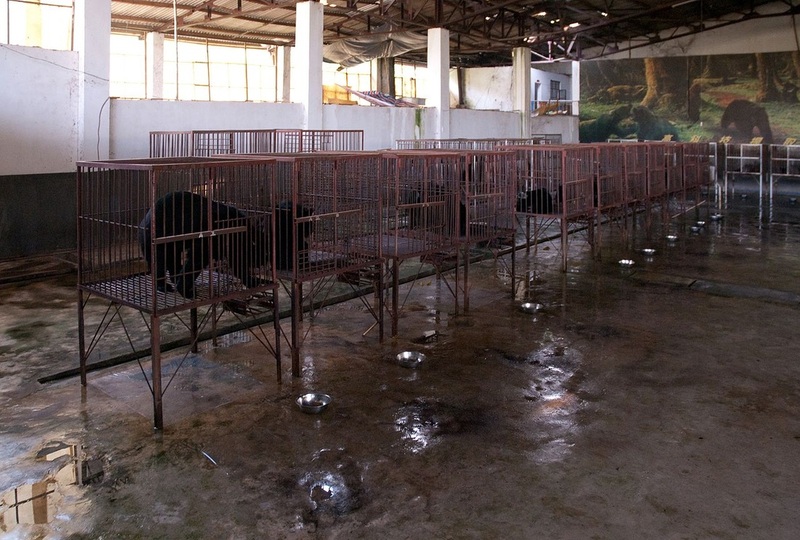 The bears are kept at the rescue centers where they are allowed to run around and play. 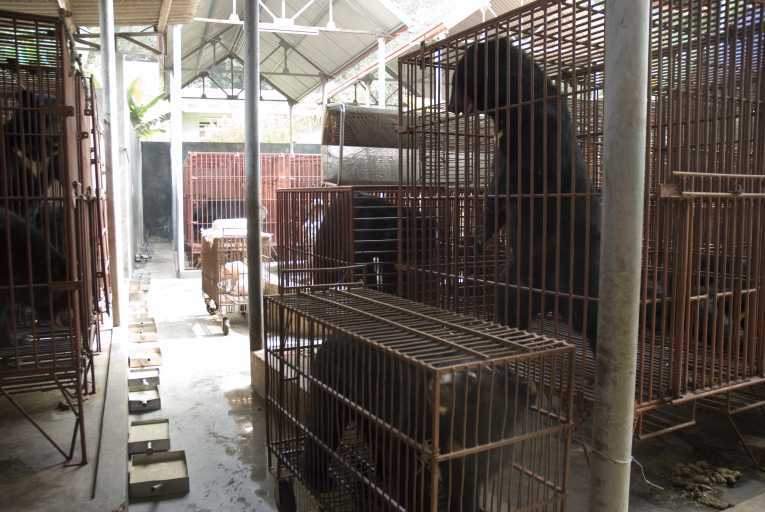 The rescue centers not only rescue bile bears but also rescue some brown bears, dogs, cats, etc. The rescue center was opened by Jill Robinson from England. It is claimed by animal welfare advocates that bear bile is not needed to make TCM or other products as many herbs, such as coptis or rhubarb, can be used as alternatives for bear bile. 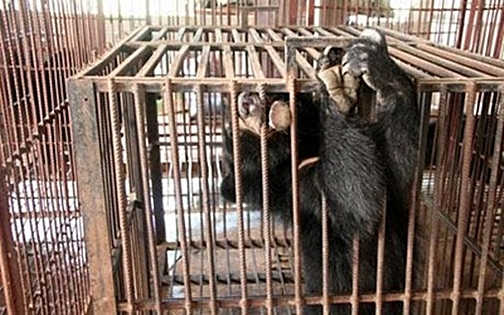 The Chinese consider bear farms a way to reduce the demand on the wild bear population. 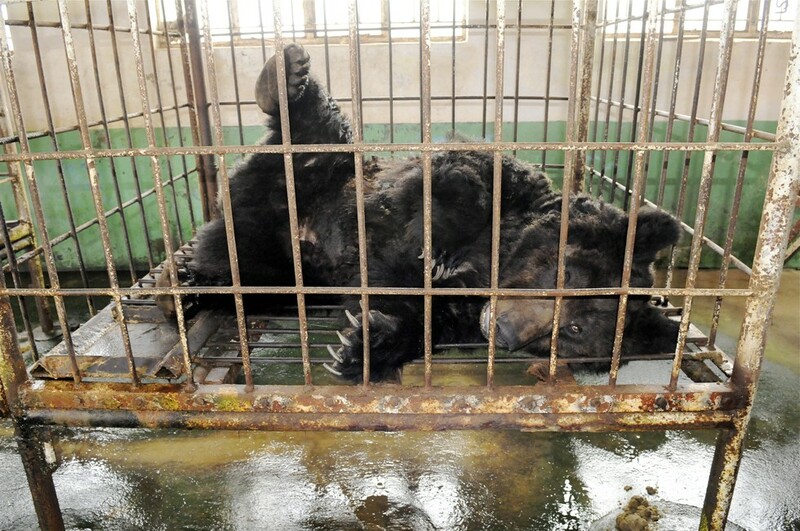 Officially 7,600 captive bears are farmed in China. According to Chinese officials, 10,000 wild bears would need to be killed each year to produce as much bile. Government officials see farming as a reasonable answer to the loss of wild bears from poaching and are insouciant about animal welfare concerns. However, the government's agreement to allow the rescue of 500 bears may represent a softening of this stance. One solution to improve welfare would be a ban on the trade of products containing the bile, but there is currently no way of preventing illegal trade, so a ban might be counterproductive. Moreover, a ban would remove the economic incentive for local human populations to tolerate wild bears, which may further endanger their conservation. It has been argued that "Wildlife farming offers, at first glance, an intuitively satisfying solution: a legal trade can in principle be created by farming animals to assuage demand for wild animals which thus need not be harvested." The successes of farming crocodilia in reducing the poaching of wild crocodiles for their skins is pointed out as a further justification for the existence of bear bile farms. The Chinese government in particular encourages farming for conservation purposes. Nonetheless, bears continue to be hunted in the wild to supply the bile farms. It is claimed that this is necessary because of difficulties with captive breeding. Research has shown that consumers of bear bile have a strong preference for bile produced from wild bears; bile from farms may therefore not be a perfect substitute for bile from wild bears. There is no definitive estimate of the number of Asian black bears in the wild: Although their reliability is unclear, rangewide estimates of 5–6,000 bears have been presented by Russian biologists. Rough density estimates without corroborating methods or data have been made in India and Pakistan, resulting in estimates of 7–9,000 in India and 1,000 in Pakistan. Unsubstantiated estimates from China give varying estimates between 15–46,000, with a government estimate of 28,000.Some estimates put the total Asian population as low as 25,000. 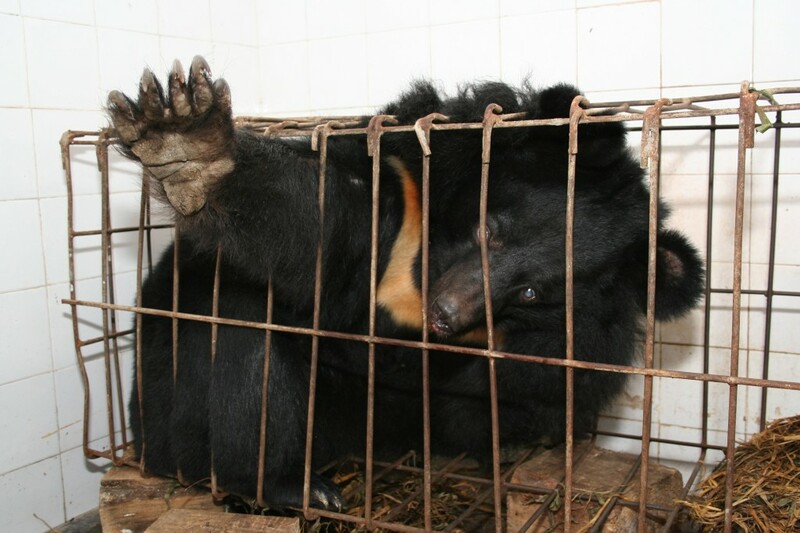 China In July 2000, Animals Asia Foundation, a Hong Kong based charity, signed an agreement with the Chinese government to remove 500 endangered Asian black bears from bile farms in Sichuan province and work towards ending the practice. Today, the China Bear Rescue has placed 219 previously farmed moon bears at a Sanctuary in Chengdu, and is helping to advance the concept of animal welfare in China. World Animal Protection conducted a study in 1999 and 2000, and estimated that there were 247 bear bile farms in China, holding 7,002 bears, though the Chinese government called the figures "pure speculation." 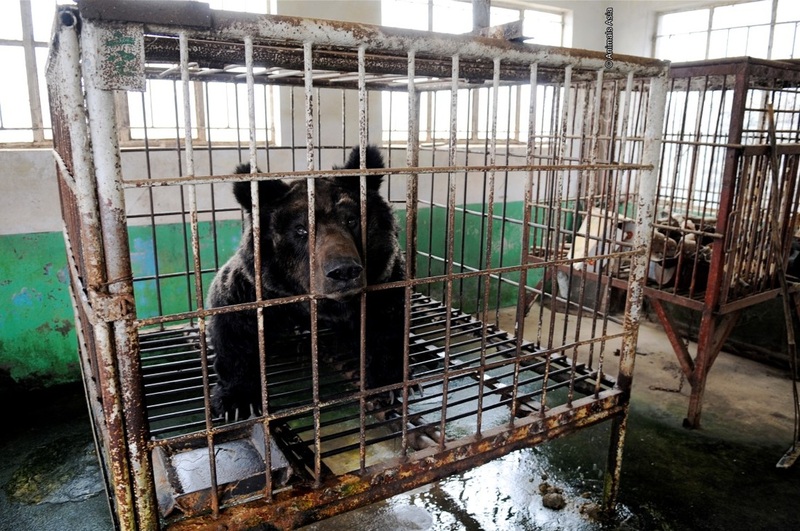 The Chinese consider bear farms a way to reduce the demand on the wild bear population. Officially 7,600 captive bears are farmed in China. According to Chinese officials, 10,000 wild bears would need to be killed each year to produce as much bile. The government sees farming as a reasonable answer to the loss of wild bears from poaching, and at the same time are indifferent to the cruelty issues that concern Western animal rights activists. However, the government's agreement to allow the rescue of 500 bears may represent a softening of this stance. 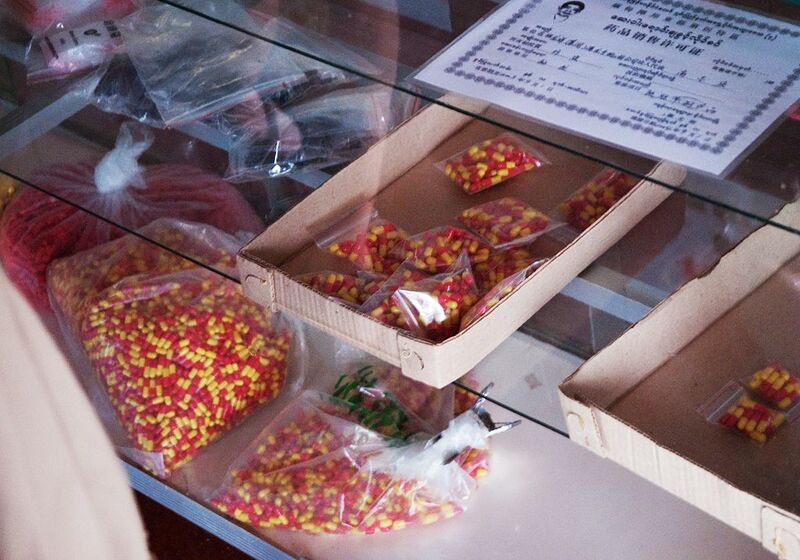 The monetary value of the bile comes from the traditional prescription of bear bile by doctors practicing TCM. 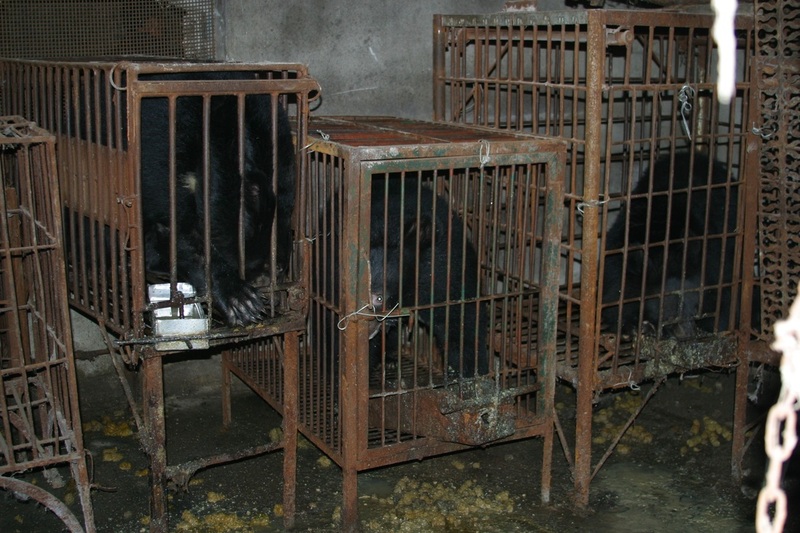 Bear bile contains ursodeoxycholic acid (UDCA). It is purchased and consumed to treat hemorrhoids, sore throats, sores, bruising, muscle ailments, sprains, epilepsy, reduce fever, improve eyesight, break down gall stones, act as an anti-inflammatory, reduce the effects of over-consumption of alcohol, and to 'clear' the liver. It is currently found in various forms for sale including whole gall bladders, raw bile, pills, powder, flakes and ointment. 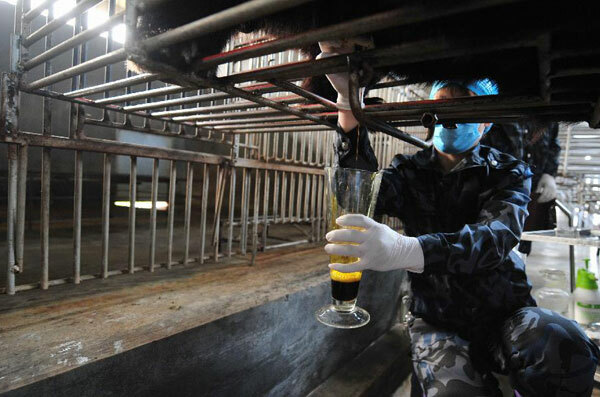 Because only minute amounts of bile are used in TCM, a total of 500 kg of bear bile is used by practitioners every year, but according to WSPA more than 7,000 kg is being produced. The surplus is being used in other non-essential products such as throat lozenges, shampoo, toothpaste, wine, tea, eyedrops, and general tonics. Efficacy Reports on the efficacy of bile products are mixed. It has been stated "These products have absolutely no benefit to health"and "Scientists have scrutinized the health effects of bear bile but have come to no definitive conclusions". Cost Raw bile can sell for as much as U.S.$24,000 a kilogram, approximately half the price of gold. The active therapeutic substance in bear bile—and in the bile of all mammals—is ursodeoxycholic acid (UDCA). Before the manufacture of UDCA by pharmaceutical companies, bear bile was prescribed by practitioners of traditional Chinese medicine because it contained a higher percentage of UDCA than the bile of other mammals. However, modern chemistry has made this fact irrelevant. Today, pharmaceutical-grade UDCA is now collected from slaughterhouses, then purified and packaged under trade names such as Ursosan, Ursofalk, Actigall, and UrsoForte. Chinese doctors have also endorsed several herbal substitutes, which provide a cheap, effective and readily available alternative. Substances in mammalian bile other than UDCA, such as cholesterol, have never been demonstrated to have any healing effect in humans. Despite this observation and the availability of affordable pharmaceutical-grade UDCA, some practitioners of TCM continue to prescribe whole bear bile for their patients and reject any sort of modern substitute. The nation's largest manufacturer of bear bile is looking at synthetic alternatives, a move welcomed by animal activists. Shanghai's Kai Bao Pharmaceuticals - which accounts for half of the 30 tonnes of bear bile produced in China annually - will receive state subsidies to conduct research and clinical testing of the new method. The bile, used in Chinese medicine, is extracted through holes cut into the abdominal walls and gall bladders of Asiatic black bears - a practice condemned as cruel by rights groups. Jill Robinson, founder of Animals Asia Foundation who has been instrumental in fighting the trade, said: "It's the first time we've heard this ... initiated by a large company as well. "It's been a long time coming, and this is really welcome news." Animals Asia said the Ministry of Science and Technology should be congratulated for supporting such a research project. The company aims to develop a bear bile equivalent using poultry bile and biotransformation technology, with Kai Bao owning the intellectual property rights. According to a company statement uploaded on the Shanghai Stock Information Service website, the central government will provide a 5.3 million yuan (HK$6.6 million) subsidy, followed by a 6 million yuan investment by the regional government, on top of a company investment of 12 million yuan. "The project will benefit the protection and sustainable use of endangered medicinal animal resources and provide raw materials with stable and controllable quality for developing new drugs and bear bile powder products," the statement read. Robinson said the company's action would help to protect the endangered Asiatic black bear, and also improve public health. Bile often contained foreign bodies such as ulcers and contaminants such as urine and faeces, as it was taken from diseased and dying bears, Robinson said. This posed a risk to those who consumed it, she said. 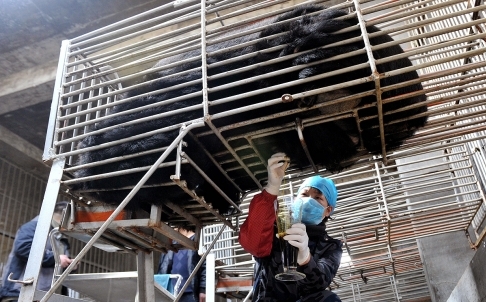 "Synthetic versions of bear bile benefit the bears, the traders as well as the patients," she said. Hong Kong-based Animals Asia has been raising awareness about the cruelty of the practice and lobbying the central government since the 1990s. 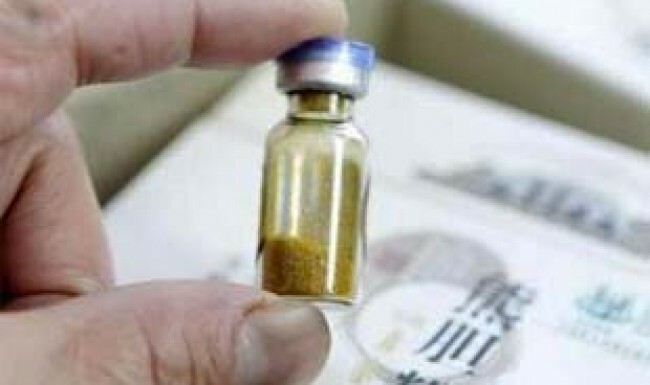 Hong Kong Chinese Herbalists Association president Kwan Chi-yee said a synthetic alternative would benefit both the Chinese medicine industry and patients alike. He said bear bile was used less and less despite its prevalence in old Chinese medicinal recipes.